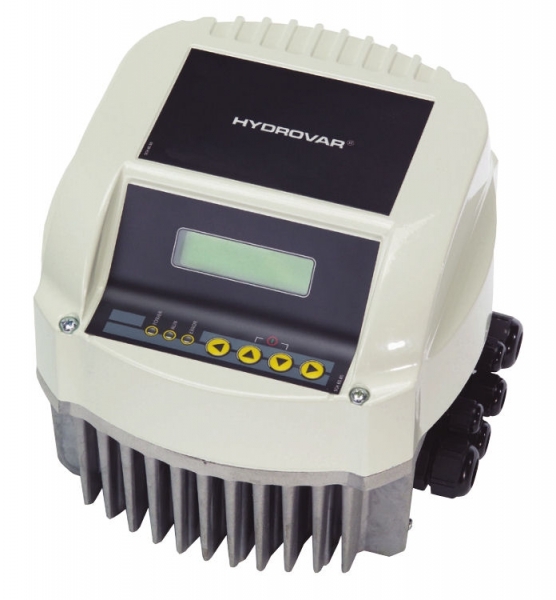 Hydrovar's unique modular design needs no additional master control and enables virtually any configuration of pumps: up to 8 master drives or a mix of master and slave drives, all without different controls, PLCs or equipment. This is the long-awaited solution for high-level installations requiring fail-safe systems with a superior range of features, while its modularity also provides a cost-effective solution for low-level, reduced feature demands. 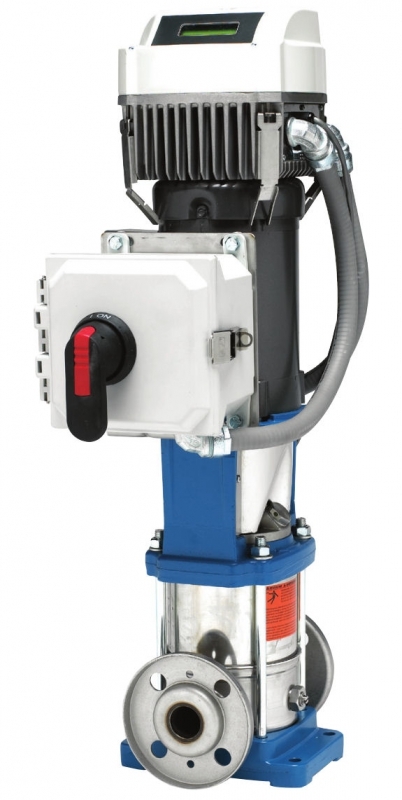 The Hydrovar advantages continue as they are also now offered pre-assembled to the highest efficiency multi-stage pump on the market, the model e-SV. These packages ship complete; incorporating the pump, Hydrovar drive, and fused disconnect all prewired and programed, as one unit.